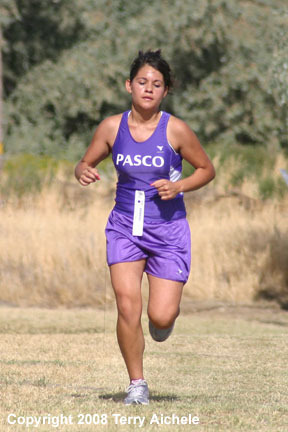 HERMISTON- Monica Garcia a junior from Pasco won the girls JV cross country meet on Friday at Sandstone school in Hermiston. She had a time of 23:30.15. 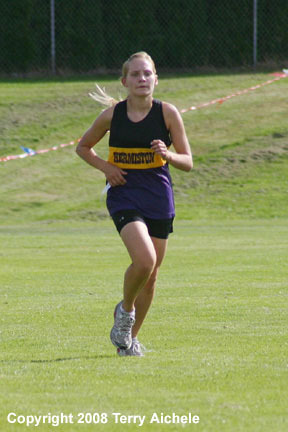 Gwen St. Hilaire a sophomore from Hermiston came in second with a time of 24:45.15. The rest of the top ten included 3. Makenzie Cody junior from Hermiston, 4. Amanda Zwiefelhofer sophomore Hermiston, 5. Katie Spoon junior of Hermiston, 6. Courtney Herom-Cobb senior from Kennewick, 7. Annie Wade a sophomore, 8. Kayla Mullay senior from Hermiston, 9. was not listed as of Sunday, 10. Angelique Whistocken freshman from Kennewick. 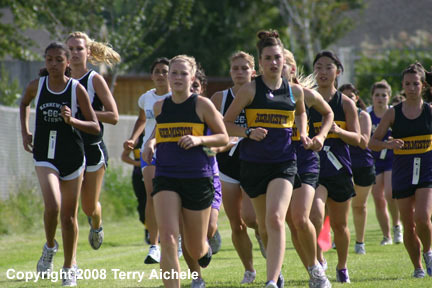 LEFT - The girls jv cross country runners about 100M into the race. RIGHT - Runners from Baker High School and Kennewick just completing the loop around the Field of Dreams baseball complex near Sandstone School. LEFT - Monica Garcia of Pasco, the eventual winner of the race, nears the grove of trees on the Sandstone School cross country circuit. 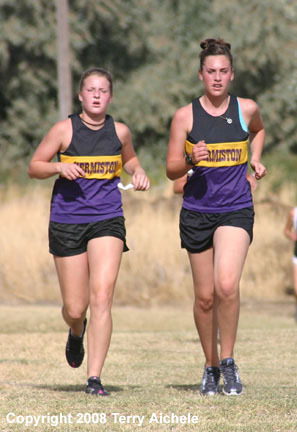 RIGHT - Two Hermiston runners near the grove during the girls jv cross country race Friday at Sandstone School. 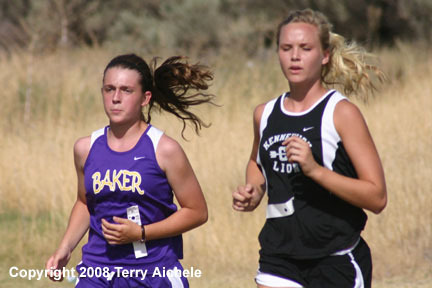 Gwen St. Hilaire, a sophomore from Hermiston, nears the finish line during the jv girls race during the Hermiston Invitational on Friday.